I remember not being able to stop staring. I felt guilty doing it too. Even as I gazed in bewilderment, telling myself it was impolite, I somehow couldn’t look away. I’m not sure why, but somehow I was drawn to it. 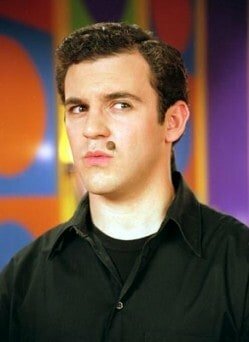 Embarrassingly, it was not unlike Mike Myers as Austin Powers not being able to control himself when looking at Fred Savage’s The Mole. This is how I felt in Mrs. Peterson’s math class my entire Grade 11 year. Let me make clear, that I do not find moles gross or anything – and they’re certainly not funny. I guess I just didn’t completely understand what they were or how they develop. I’m sure poor Mrs. Peterson had her fair share of teasing throughout her life. None of which, she deserved of course. But there the mole sat, directly to the left of her mouth on her cheek. Moles are not uncommon, of course. They are, however, commonly misunderstood. Also known as “melanocytic nevus”, moles are simply benign pigmented growths. Containing high concentrations of pigment, moles are easily seen since they are generally darker than a person’s natural skin tone. 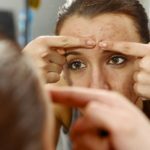 I used to think – as I’m sure many others did – “why doesn’t Mrs. Peterson just have her mole removed?” Perhaps, back in high school, mole removal wasn’t known to be the safe and fairly speedy practice that it is today. Local Excision is the basic term for the surgical removal of moles as well as other skin tags and cysts. I have no idea if Mrs. Peterson has gone through such a procedure since I left high school. And somehow, I think she may find it rude of me to suggest it if I ever bumped into her. I don’t believe moles are anything to be ashamed of. However, for those who would prefer to live without them, they should know that the average Local Excision appointment is generally about 20 minutes long. After a local anesthetic is applied to the area to freeze the tissue, the unwanted mole is removed and the skin is closed with stitches. Sounds like a pretty basic procedure, right? 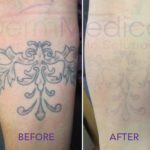 Doctors generally recommend that the skin area is treated with great care over the next week, before getting the stitches taken out. Making moles disappear isn’t as tough as you probably think it is. Of course, this means an appropriate cleaning and moistening regiment as the treated area may be a bit tender for a little while. Shortly after the procedure, however, one will not have to worry about any further staring or joke-telling at the hands of those who don’t quite understand moles. Unless you bump into Austin Powers, of course.